The reason Justine Curgenven's latest DVD falls into this category is due to the fact that a number of people that feature in it are also mentioned here within my blog, and I think it its important to applaud the efforts of others especially your friends There is also the clear and obvious reason that Justine has again achieved a remarkable balance in representing a number of perspectives on our sport through two hours of visual stimulation in the form of action, wildlifes and seakayaking expeditions covering Antarctica, the Faroe Islands, New Zealand, Wales & Scotland. Also included is Greenland rolling with Cheri Perry and Freya Hoffmeister, the legendary Paul Caffyn and fantastic tidal race footage of the Falls of Lora. All three volumes of This Is The Sea should become, deservedly so, a superb legacy for future generations to learn about what has been accomplished so far in sea kayaking terms and what may yet be still possible. It will inform anyone who watches the series, or even just this one, of the passionb and enthusaism particpants have of the sea, whatever the dimension. 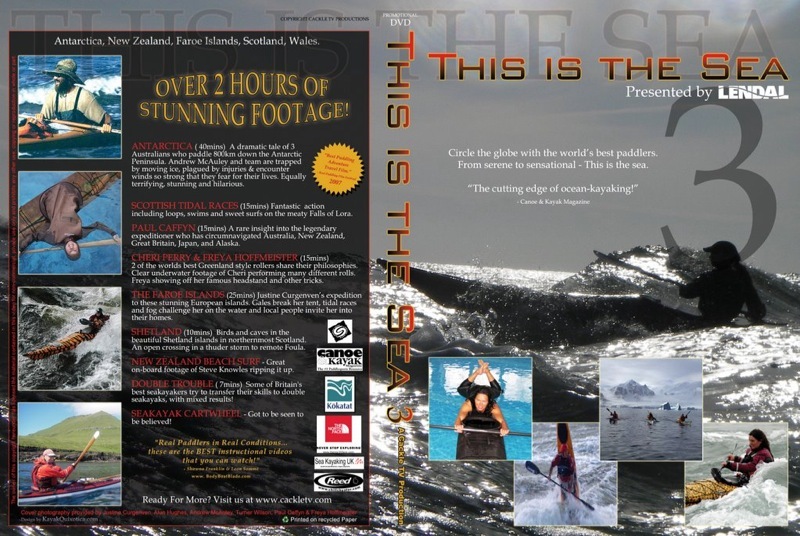 Furthermore, Justine will be donating a percentage of sales from this DVD to the Andrew McAuley Support Fund , partly because it contains the story of Andrew's recent 800km journey down the Antarctic peninsula, which he filmed. For every copy Justine sells she will give US$1.50 to Andrew's family.